Welcome to swimming news this week; this week we talk about the importance of consistency, why you should get flexibility tested and I have a back stroke and a breast stroke tip for you. 00:21 – Is Your Training Consistent? If a swimmer comes to me and they tell me they are not improving I will ask them how often they are training a week and are they training consistently? You see one of the biggest things that improves swimmers is consistency with their training. If you are not doing 2-3 sessions per week at a minimum you will probably find that your times won’t come down and you won’t be improving. If you want to become a better swimmer then keep your training consistent and don’t miss too many sessions here and there. My general rule of thumb is if you miss one week of training it takes you two weeks to get back to where you were before. That can be frustrating if you go on holidays or you want to take a bit of a break but that is just how it works. With swimming you need to be in the water at least 2-3 times a week if you want to get better and more if you want to improve quicker. General rule of thumb just make sure that you stay in the water, you keep training and even if you are sick get down to the pool and at least roll the arms over because then that way you will maintain the feel for the water and you will continue to keep that swimming fitness and feel for the water. Last week with my swimmers I did flexibility testing, I got a myotherapist it can be a physio or a chiropractor can come in and do this too, I got a myotherapist in we ran through a couple of flexibility tests that determined if swimmers are inhibited in any of their movements that are important to their training. The biggest one which I found that stops swimmers from being able to get into the right position with their technique was the shoulder flexibility test which is this one up here; and we are looking for the angle from here to here. That was one of the worst areas for a lot of swimmers because if you can’t get your arms above here then you will probably find that you can’t get in the position with your freestyle. If you’re tight in this kind of movement and also your hamstrings that was one of the most common ones then take a look at getting that treated whether it is through physio, myotherapy or chiropractors get that treated, get your flexibility up and you will find that you will be able to get into the right position to swim faster. Earlier this year I recorded a presentation called Worlds Best Swimmer; in this presentation I cover everything that the world’s best swimmers are doing from their diet, training, strength training, flexibility all of the things that I found common whilst talking to the world’s best Olympians, tri-athletes and open water swimmers. It is everything I learnt from talking to a lot of elite athletes in swimming. You can now watch that presentation for free. If you want to get a couple of tips and give yourself a few ideas of things that you can implement into your training then that is a good place to start. One of my favourite ways to get motivated in sport is to race. The buzz and the adrenalin rush that you get at the end of a race at the end of competition is what motivates you and spurs you on to want to do better. It allows you to see where you can improve in your races and it just reminds you of the reason why you are doing all this hard training. If you find that your motivation is waning then go and race, go and get out there and compete and you might find that you are more motivated in training and you have a clearer picture of what you have to improve to become quicker in the water. 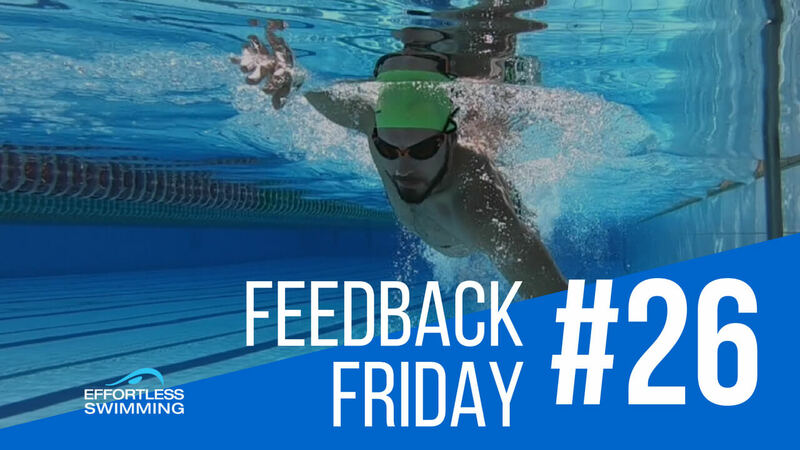 In backstroke the ideal head position is to keep your head straight and on center while your shoulders and the rest of your body is rotating. If you head is dead aligned and it’s your shoulders that are rotating then you will find that you draft through the water a lot better and are not wasting energy and not creating more drag than you need to as if your head is moving from side to side. In the Effortless Backstroke program we go through drills that get you to practice keeping your head still while your body rotates around it and gets propulsion that way. 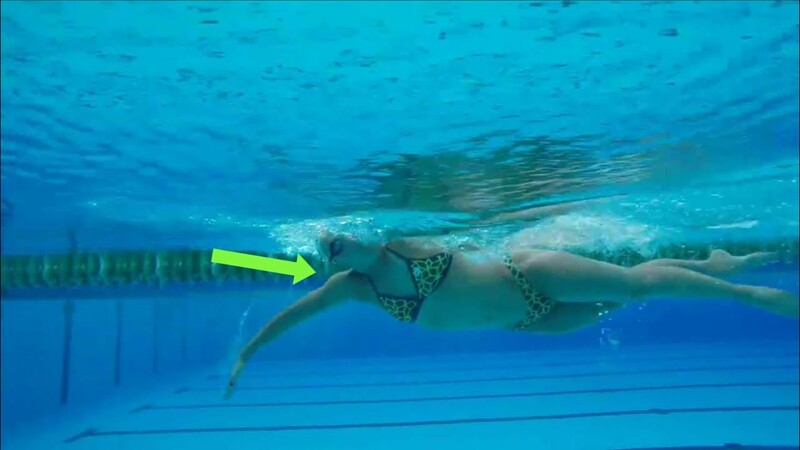 One of my favourite breaststroke drills that you might have done before is one pull, two kicks; where you do one pull you go into the water and you do two kicks. The reason I think it is such a good drill is because it practices good body position when you are gliding forward. It also improves your kick because you are doing two kicks with each stroke and it makes you really finish off the back end of your kick. In the Effortless Breaststroke program we build on these drills and go through some more challenging ones and they are very good for practicing an ideal pull, getting a stronger kick and practicing the right body positions so you are gliding more with each stroke and creating less drag. The Effortless Form video program is the butterfly, back stroke and breaststroke drill program that a lot of swimmers have been through recently. They have really helped them with each of those three form strokes. If you feel that your freestyle is developed well and you want to improve your other strokes, whether it is for cross training or because you want to compete in the other strokes then the effortless form program is a good one to go through because it is the same as the mastering freestyle program but for the other strokes. They are the same drills I give my swimmers when we are working on form strokes. If you want to copy what we are doing in training that we are getting very good results with for my masters group then the Effortless Form program is the way to go. That’s it for news this week. See you next week. Quick question: should I still be training when I’ve got a shoulder injury (sprained glenohumeral ligament damage)? Will swimming help it or make it worse? Ashlee – I would check with your physio. My guess would be vigorous massage prior to training and then swimming with fins and icing it afterwards but I can’t be sure.